Happy Valley LaunchBox helped engineering student Mary Elizabeth McCulloch develop Project Vive - a low-cost, hand-controlled device that will give the gift of speech to those without a voice. StateCollege.com file photo. Community and university efforts to support business start-ups in State College are paying off with national recognition. Livability.com has named State College No. 10 on its Best Cities for Entrepreneurs 2016, which analyzed 17 economic indicators for more than 2,200 cities, as well as including the site's livability measure which accounts for 45 factors such as economic, demographic and infrastructure data. "Available to entrepreneurs in the State College region are organizations like the Centre Region Entrepreneur Network and the New Leaf Initiative," the ranking stated. 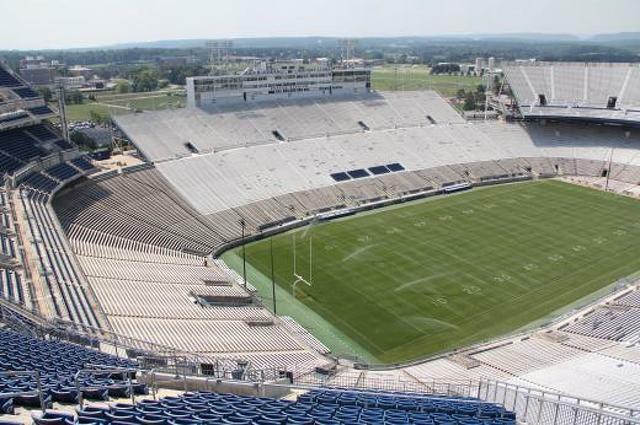 "In addition, Penn State University has startup assistance offerings such as TechCelerator @ State College and Lion Launch Pad." Penn State, the borough and community partners have ramped up efforts to encourage local entrepreneurship and business development over the past two years. The centerpiece of that -- not directly mentioned in the Livability.com ranking -- has been Invent Penn State, an initiative to spur economic development while helping students succeed professionally through collaboration between Penn State and local communities on entrepreneurship-focused programs. In the State College Area, that effort has built on the work of organizations like New Leaf, the Chamber of Business and Industry Centre County (CBICC), TechCelerator, Lion LaunchPad and Penn State's Small Business Development Center (SBDC) and working with organizations to develop new initiatives. In March, Happy Valley LaunchBox opened its doors on South Allen Street. 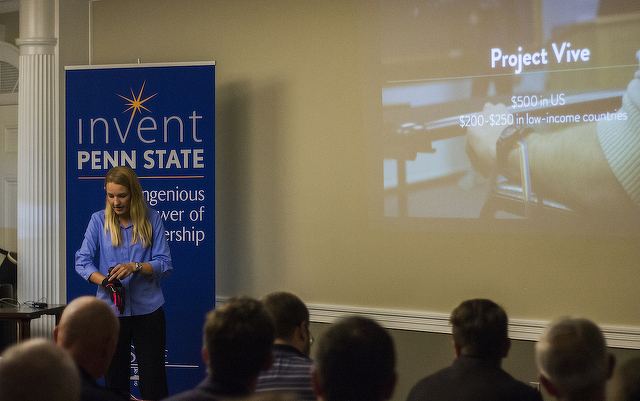 The entrepreneur space provides selected companies a 10-week business startup program and up to nine months of work space, along with professional consulting and mentorship from area entrepreneurs, Penn State faculty and alumni. Happy Valley LaunchBox also offers walk-in information desk service during weekday business hours for startup resources both inside Penn State and in the local community. Staff also help connect business with potential investors. CBICC recently launched CBICC Connect "to connect the business community with the next generation of leaders to create a vibrant local economy." Part of that has been a new mentorship program for established business leaders in the local community to offer their insight and experience to young professionals. In the last year, Penn State SBDC helped start 29 new businesses and assisted 159 new clients. TechCelerator, meanwhile, offers a 10-week Business Startup Boot Camp for a half dozen entrepreneurial efforts and awards one $10,000 at its conclusion. New Leaf Initiative is an ongoing effort that provides shared to inspire collaborative ideas and innovation and guide those ideas to the resources needed to become a reality. Livability's economic measures for the new ranking include: "growth in businesses and employees from 2011-2015; the city's unemployment rate; the number of venture capital deals in the past 10 years; the city's business tax rate; how much funding business owners received from SBA and 7(a) loans; the percentage of college-educated locals; the accessibility to high-speed broadband; projected household income growth between 2015-2020; and how much money residents spend within their community, as opposed to outside of it." Boulder, Colo., was ranked as the No. 1 best city for entrepreneurs. No other Pennsylvania communities made the top 50 list. After nearly three months without a commitment on the recruiting trail, Penn State's momentum appears to be back in full swing as the Nittany Lions landed three-star receiver Cameron Sullivan-Brown on Friday.